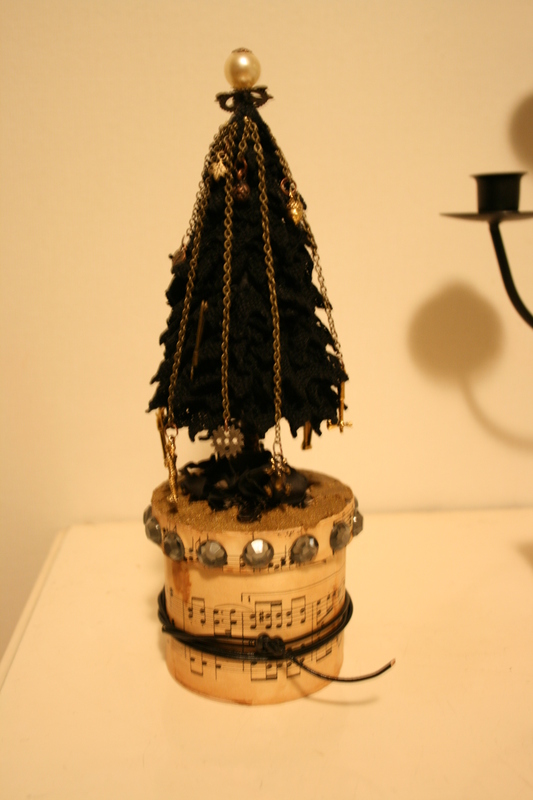 Yeah, I’ve finally finished it… My steampunk inspired Christmas Tree! 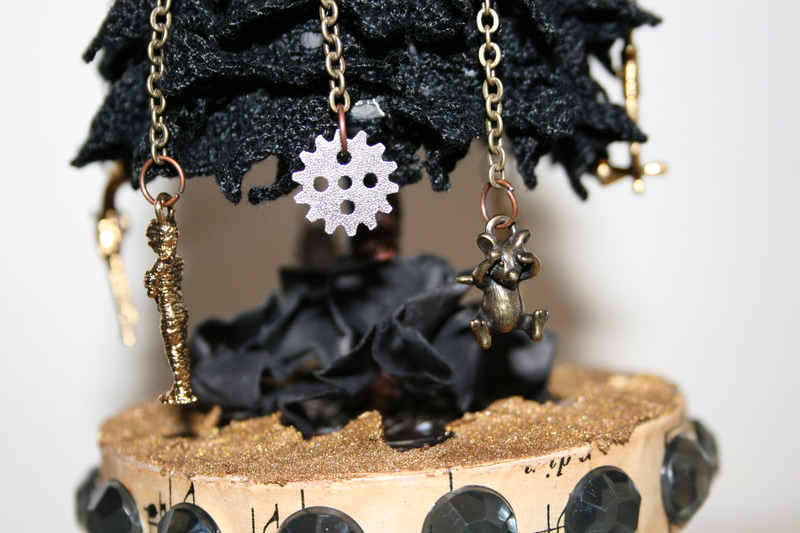 Assorted jewellry parts and scrapbooking decorations hanging from brass chains. 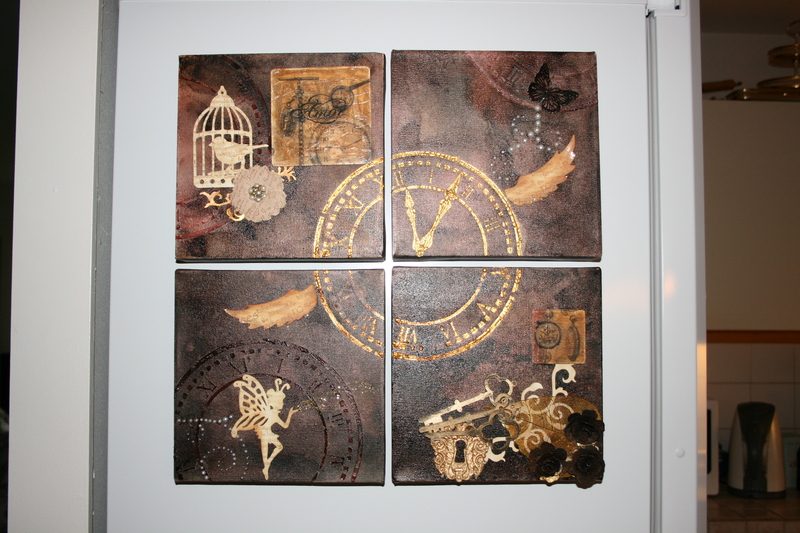 Viva Décor paints from The Craft Barn, sheet music from a thrift shop, other materials from Panduro. This one is a bit smaller, but I have used the same techniques and materials as for the first one. 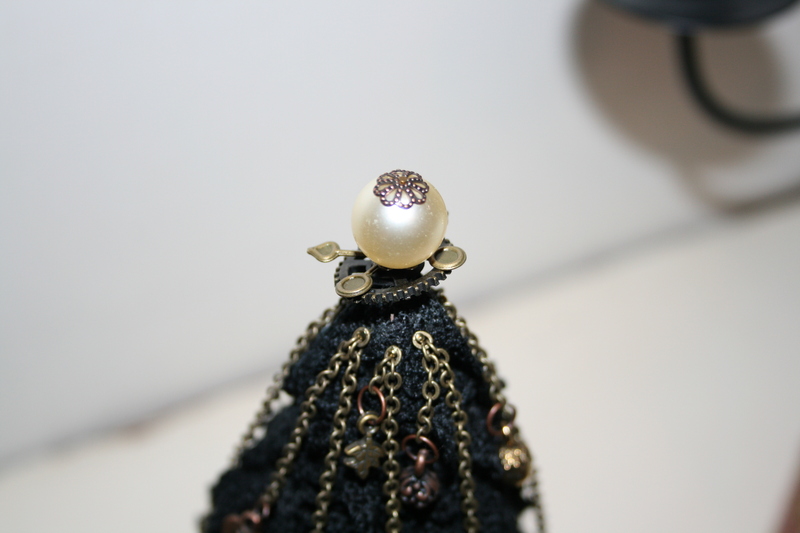 The lace has been colored in using Tattered Angels Glimmer Mists, the star in the top is made by using a hand punch, two layers joined with 3D-foam, and then covered in Stickles. Tattered Angels Glimmer Mists from CropStop, everything else from Panduro. 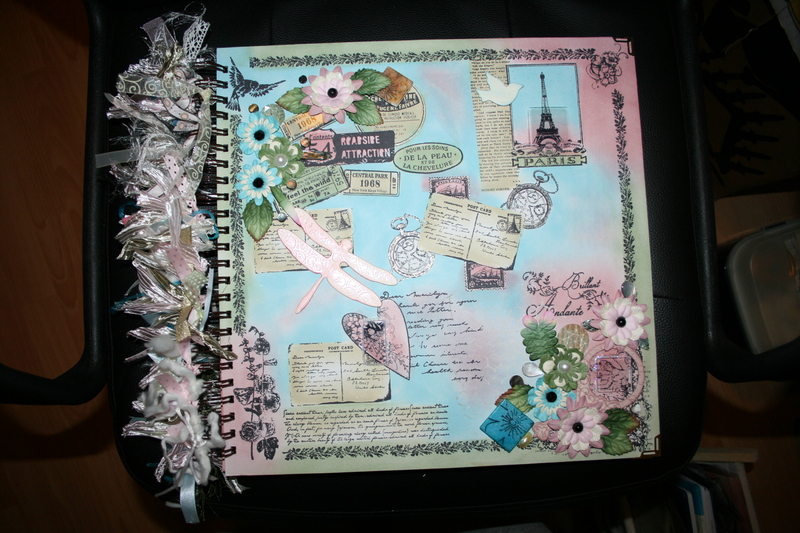 This is what I’ve been up to these past days. 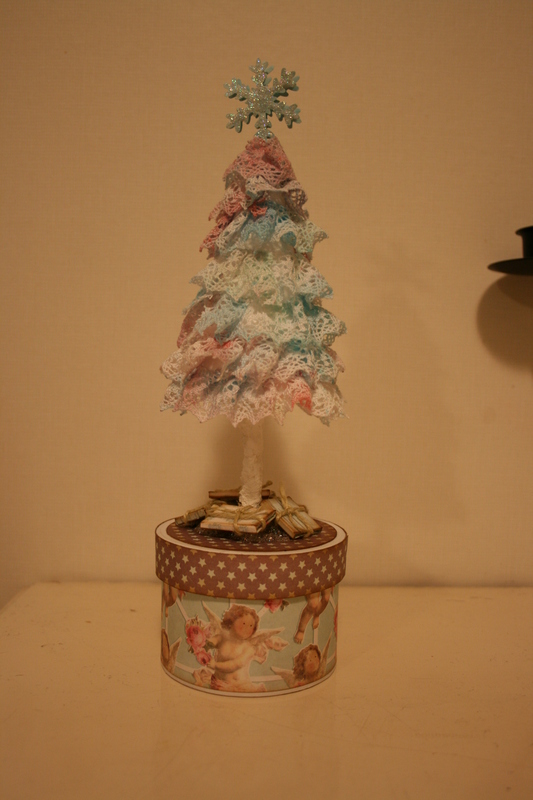 A styrofoam cone covered with lace, mounted on a piece of wood and then on a papier maché box. 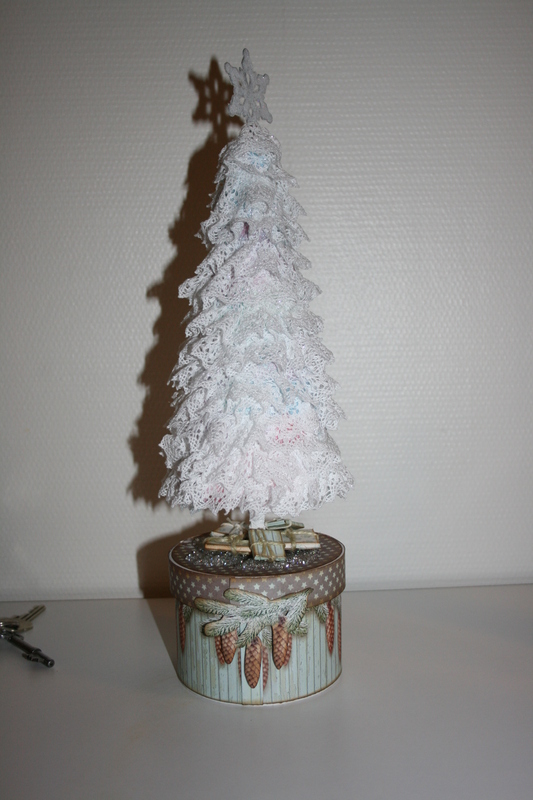 Added some patterned paper to the box, some glitter-flitter-spray to the tree, snow paint around the trunk and ice pearl laquer beneath the tree. Some gifts and a star, and it’s ready to go! Sparkly Fluff on the star from CropStop, everything else from Panduro. A very simple wedding card ordered by a friend. 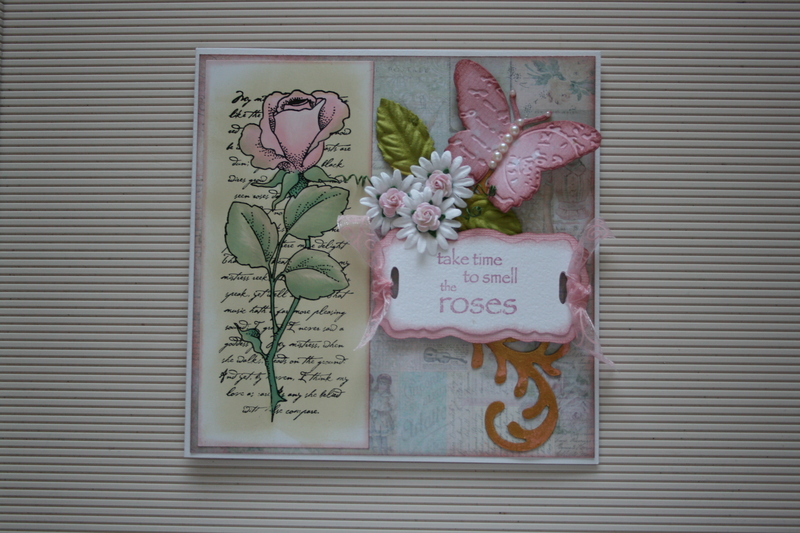 Glossy card from The Craft Barn, stamps from Chocolate Baroque, colored with Distress Inks, paper and cardstock from Panduro. Adirondack Color Wash and Dylusions sprays from CropStop (US) and Craft Barn (UK), Croco Paint from Craft Barn, the mould from Clay Lady, all other materials from Panduro. One of my new favorite stamps, from Chocolate Baroque. 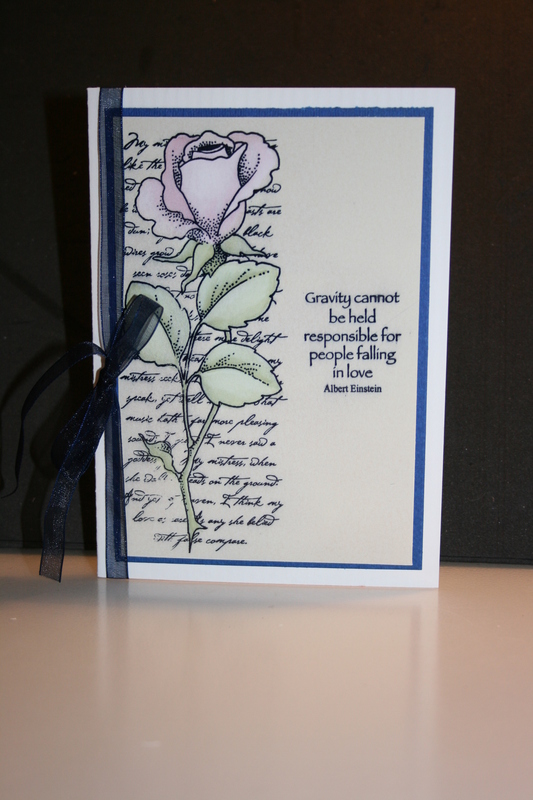 The rose with the script background and the text is a favvo combo! Paper butterfly cut and embossed with a Cuttlebug die (one of the few dies I have left), the tag and the swirl are cut with a BossKut Gazelle. Flowers from Panduro and leaves from Prima.